The FIA rulebook for Formula One cars specified either a 3 liter normally aspirated or 1.5 liter turbocharged engine. 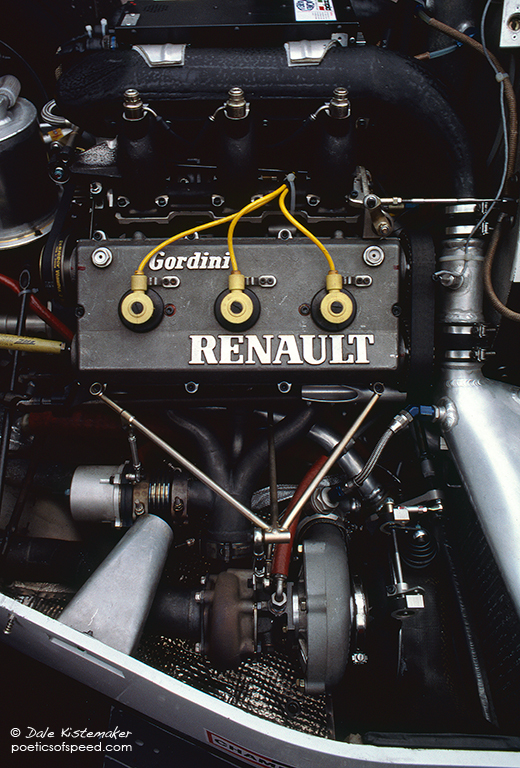 Renault Sport took a different route from other constructors with the power plant for its Formula One car. Driven in the last five races of 1977 by Jean-Pierre Jabouille the RS01 was the first regularly used turbo engine in F1. It proved unreliable until its first finish at Monaco in 1978. One year later Jabouille scored its first victory in the 1979 French Grand Prix at Dijon. This win ushered in the Turbo Era of Formula One and soon engines of staggering power filled the grid.